Coal Free Energy Generation For A Day! The UK had a coal free energy day last week. Friday the 21st was the first 24 hour period with out coal for over 130 years. Our industrial heritage is a corner stone of British history. Coal drove the industrial revolution, replacing water power as the primary source of energy. For 130 years this has continued. Our proud miners and energy engineers have used this fossil fuel to power our progress and make Britain great. The next industrial revolution is now underway. 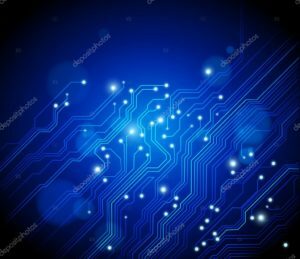 This industrial revolution is driven by new technologies. The power generated by these new forms of renewable energy have created this first step in our path to fossil free energy. In 2016 we had 4 separate events of energy generation without coal over a few days. This was a sign of things to come and I blogged about this. Now we have reached the next level. one whole continuous 24 hour period without burning coal for energy. Coal free energy for a week? I am looking forward to the next milestone along the highway to 100% renewable energy. I will be glad to see an end to all burning of coal for energy or other uses. Saving our planet starts by getting rid of polluting industrial processes that can be easily replaced and offer new jobs and opportunities for us all. Energy democracy is a new term. We have seen the growth of local municipal energy generation projects. Roof top solar on your house is growing in popularity. Universities and schools are now effective sites for generating energy. All this means we are entering a new age. Energy Democracy is the new age. For over 125 years we have been sold to, told to, and generally treated as ignorant energy buy-bots. Energy consumers are still treated this way by an industry that is scrambling to find ways to deal with renewable energy. Wind and solar PV are killing the existing model for energy generation. The old paradigm of centralized energy production is dying along with their gross profit margins. The oil and gas sector is suffering a similar fate. More on that later. For now how is this change of energy generation and consumption effecting your bill? Energy democracy means free energy? Free energy may be coming to a house near you soon. How is this possible, you ask. Good question. With a simple answer. If you have enough solar PV generation on your roof AND enough battery storage you can get free energy. Not totally free as you do need to pay for all the kit and installation, Or do you??? There are many offers in the marketplace for buying your energy at a discount from a supplier who fits solar to your roof. there are also other offers making the rounds in trials here in the UK for energy storage installed in your home. The cost can be offset by selling energy to the grid using a process called aggregation. This may pay for the storage. Now you have energy generation on your roof which cost you nothing, and saves you energy on your bill. Added to this is a battery system offered with an income potential to offset the cost of installation. Very close to free. The bigger picture of energy production is changing as well. The growth of local, community, and county owned generation projects is increasing energy owned locally. No more are we tied to a corporate giant producing our energy with no regard to our environment. Owning the means of energy production will help US save our planet. It will also move us closer to free energy for all. Can it be that coal dropped off the grid? Coal has been burning in electricity generation plants since 1882. The continuous use of coal has been a cheap way to provide heat and light for our homes. Coal power has fuelled economic growth. Coal has been the bane of our country’s inner cities for just as long. The dark days of the London fogs killed thousands. China is now dealing with a similar epidemic of coal related deaths. But now an end is near. The UK is turning the corner on dirty fuels. Here in the UK we have been supporting renewable energy for several years. Solar energy grew very quickly during the FIT years. Wind generators were built from cornwall to Coventry. 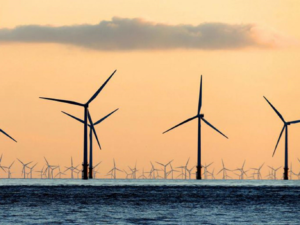 Wind power was built in the seas surrounding the UK as well. At one point only a few years ago we had the fastest growing wind generation system of any country on earth. first time in over 120 years no coal was burned. No dirty coal fumes polluted our skies for a few short hours. For a few days in 2016 our energy was cleaner. For just four days in 2016 coal was off the grid. The current government has cut support for renewables of all types. The Feed In Tariff was cut twice and is now a fraction of what it once was. The government is taxing solar installations further hampering continued growth. Wind generators on shore and off shore have been hit hard by this government as well. Subsidies for wind generation have been cut. On shore wind has been nearly banned by government blockades and red tape. 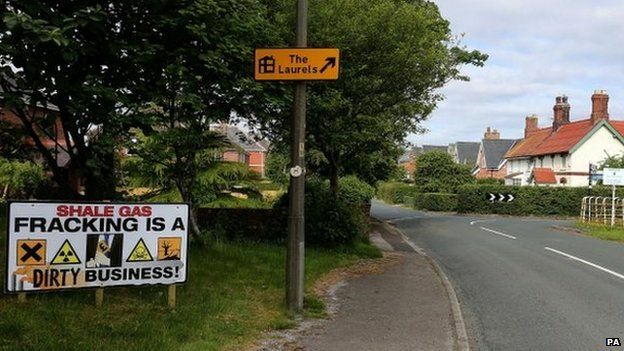 Meanwhile the fracking that no one wants is being forced through local communities against the will of local government. New nuclear power that will bankrupt the country is going forward with billions of illegal subsidies. Perhaps the government needs to rethink their support for fossil fuels and nuclear power. 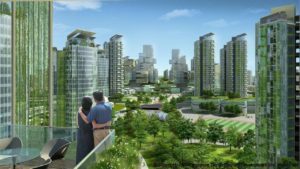 Eco-cities are urban areas which are sustainable and environmentally friendly. You don’t have to live in a hippy commune to minimise your impact on the planet. With a growing world population, modern cities are adapting to be more eco-friendly. Since 2009, the number of people living in urban areas has exceeded the number in rural areas . This means that to improve the sustainability of our planet, we need to plan and develop our cities in a way which minimises energy use, waste and emissions. If you want to find out the world’s current human population, check out this link to see how it fluctuates. In order to combat the issues caused by a massive growth in population, many cities have aimed to improve their sustainability. Some even aim for the ‘Eco-city’ status. This means that it provides for the people living there, without consuming more resources than it replaces. It also reduces waste and it recycles when possible. 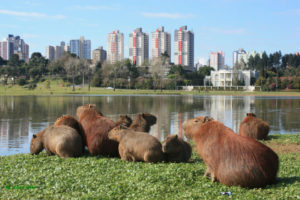 Curitiba in Brazil has become famous for its sustainable transport and low waste levels. ReGen villages in the Netherlands aim to tackle the lack of resources and growing human population by providing a more sustainable living environment. How? 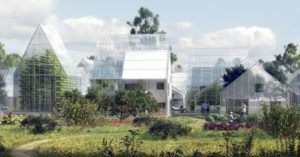 ReGen villages plan to provide homes running on renewable energy, sustainable water management, and waste-to-resource systems (Biofuels). The idea is to create a place where families can live happily and with a low environmental impact. Masdar City in the United Arab Emirates is now an established community where people are living and working. The development is based around the idea of sustainability and encouraging business and education in the renewable sector to grow together. Masdar focuses on energy-efficient buildings and has become internationally known for its green technology. 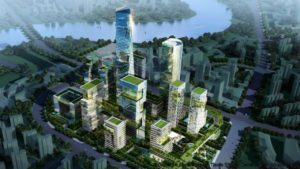 Tianjin Eco-City is the result of a collaborative agreement between the governments of China and Singapore. 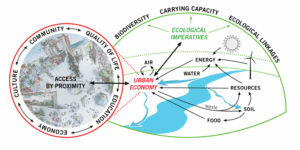 It aims to achieve the “Three Harmonies”; social harmony, economic vibrancy and environmental sustainability. Tianjin eco-city, from BBC news. Has your city gone eco yet? Visit the crowdmap to see which cities have a sustainable future. In the beginning E was for Energy. Now that Brexit has begun, E is for Europe. Our Environment may be at further risk due to Brexit– but how will Brexit affect us? Environmental issues don’t stop at borders. Many issues require sustained action over a long period of time. Cooperation is needed between countries if the UK is to achieve its energy and climate goals. The UK needs to work with others to reduce the pressures on the environment. By working together, we can increase biodiversity and use our resources wisely. We need agreements between nations to cooperate on protecting our planet from climate change. The question is; will leaving the EU effect the UK’s ability to cooperate with other European countries in reaching our shared goals? A report from the Institute for European Environmental Policy outlines the importance for the environment of being part of the EU. Countries which are members of the European Economic Area (EEA) but not the EU are still subject to a large body of EU environmental legislation. But it is uncertain how the UK will negotiate its legislation with the EU in the coming months. This means it is still uncertain how the UK will determine its environmental policies. Now that the UK is leaving Europe, its parliament may be able to make laws which are more specific to the country and therefore improve the overall environmental policy. But do we trust the UK government to make environment-over-economy based decisions when it comes down to it? Many have said that there could be detrimental effects of leaving the UK to change its environmental policies without the EU as a moderator. Overall, there is a gloomy outlook from the environmental perspective of Brexit. – Contact your local MP to see what they are doing. – Sign an e-petition, such as this one from the Wildlife Trust, who wish to adopt European environmental legislation. Are we entering a Green New World? I think we are entering a green new world. 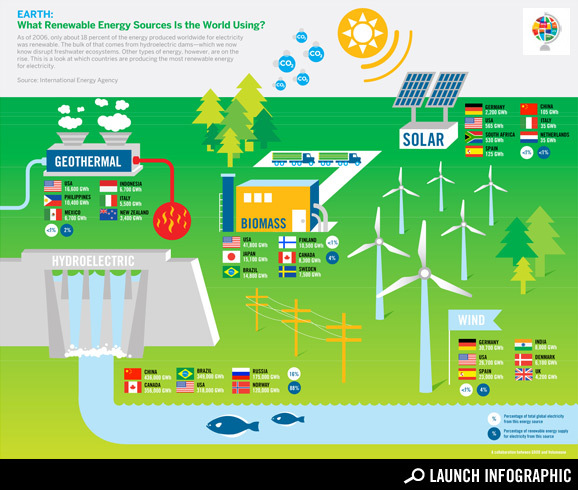 Many nations of the world are embracing green energy. Green energy is energy from a renewable source. Renewable energy never runs out and is clean to generate and use. During my break from writing, many events have changed the nature of our climate and our global energy sources. All the changes I have seen in the last 8 months have been encouraging. In November 2015 the COP 21 Conference in Paris set a target for carbon emissions at 1.5 – 2.0ppm. This historic agreement is being perused by many nations. 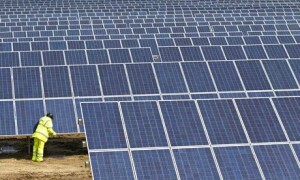 India has approved a massive 200GW of new solar across the country. This will go along way to reducing India’ fossil fuel energy generation. China’s emissions of CO2 may have dropped in 2015. With as much as a 5% reduction of CO2, this may be the start of something good. Sadly a new green world is not happening quite fast enough. Global temperatures are still rising. Artic ice melt is still accelerating. Forest fires are larger and occurring more often in places where they never happened before. Severe storms are destroying many communities around the planet. 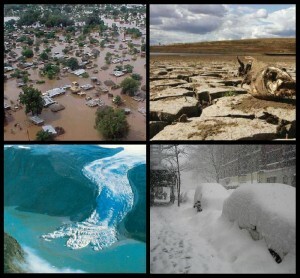 As the effects of global climate change take hold, we all see the need for change. The world is waking up to climate change and nations are acting to combat the worst outcomes. Can we change fast enough to stop climate change? Keep reading E is for energy to find out. Amber Rudd is the Fossil Fuel Energy Secritary! Amber Rudd gives a new twist to David Cameron’s administration, outright support of fossil fuels! Amber Rudd has been misrepresenting our best interests for some time! She has, on several occasions, not told the truth to the people and to Parliament. This is proof that we can not trust our current government. We should request an investigation, criminal charges against Amber Rudd, and the end of Cameron’s government. A letter from Energy Secretary Amber Rudd leaked to The Ecologist shows that she misled Parliament by promising the UK was ‘on course’ to deliver on its renewable energy targets – when in fact there is a delivery shortfall in 2020 of almost 25%. Her plan to fill the gap relies on more biofuels, buying in green power and ‘credits’ from abroad – everything but wind and solar. A letter from Energy Secretary Amber Rudd leaked to The Ecologist shows that the UK is on track to miss its legally binding obligation to achieve strict EU targets on renewable energy by an estimated 50TWh (terawatt hours), or 3.5% of its 15% obligation – that is a shortfall of almost 25%. But by misleading the House of Commons in her statement, she is now certain to have a more immediate problem on her hands – demands for her resignation and a full-blown Parliamentary investigation. Her first test will come tomorrow before the Energy and Climate Change Committee tomorrow (Tuesday 10th November) when its members grill her on her department’s annual report and accounts. “The target sets a legally binding obligation on HMG to deliver 15% of the UK’s final energy consumption across electricity, heat and transport from renewable sources in 2020, with a binding sub-target for 10% of transport fuels to be from renewable sources in 2020. And although the UK’s current trajectory is on course for a massive miss of 32-66 TWh (terawatt hours) per year by 2020, with a central estimate of a 50TWh shortfall, the UK’s public position is that there is no problem meeting the target. Or as she told Parliament on 22nd June 2015 – ironically in her statement termination subsidies for onshore wind: “This Government is committed to meeting objectives on cutting carbon emissions and to continue to make progress towards the UK’s 2020 renewable energy targets. and most recently, the removal of EIS tax relief for investors in community renewable energy projects. The government’s claim is that this has been motivated by the need to save money allocated under the ‘Levy Control Framework’ which allocates funds for renewable energy, however the depth and extent of the cuts betrays a strong ideological agenda to destroy the UK renewables industry. Following her re-election in May, Rudd promised: “I want to unleash a new solar revolution – we have a million people living under roofs with solar panels and that number needs to increase.” However in office she has done the precise reverse. This letter now shows the desperate position those cuts have put the UK into. Spot the lack of mention of anything to do with new wind and solar power? Her plan is based entirely on other means of achieving the target – even though wind is by far the lowest cost form of renewable energy, and solar is likely to become cheaper by 2020 with continued support to the point where it competes directly against fossil fuel generation. Current levels of ‘renewable fuels’ derived from crops are already set to be doubled between 2017 and 2020, adding around 2 pence per litre on pump prices, but Rudd suggests that a further increase would be possible. But that’s not the only problem: if the renewable power is generated in Norway then how can it be made to count as British just be importing it? Which is all very well, but it will cost the Uk money that should be going into our own renewables programme., Moreover there’s no guarantee that the arrangement would be considered valid by the European Commission or by the European Court. So why not just buy in ‘statistical credits’ from other countries? Nonetheless Rudd goers on to consider further “Use of co-operation mechanisms” that would allow the UK to finance renewable energy projects in other EU states. Which raises the question: when the UK has Europe’s richest wind power resource, why would we want to do that? In the process exporting the jobs, expertise and industrial investment to other countries? “In the absence of other measures to increase renewable energy consumption in the UK, a strategy to meet the target (and to ensure that the target is met in the most cost-effective way) would need to involve the UK purchasing renewables deployment later in the decade from other EU Member States which have over-achieved their target. And another problem then strikes: “However, at this stage there are no projects we have identified with the potential to deploy in the right time frames.” Which leads Rudd to attempt to invent a whole new market mechanism in ‘statistical credits’ for renewable energy from other EU countries. Which makes it all the more important to get other EU states on side. Not that the time is propitious – just as UK Prime Minister David Cameron is trying to win concessions from them on a host of other issues. Nor is there ‘strength in numbers’ with other EU target-missers: “Whilst it may be tempting from a UK perspective to take comfort from this list, it should be noted that Germany in particular sees the target as a cornerstone of the EU’s climate agenda and has a strong domestic policy framework in place which may well allow it to make up any shortfall. “I should highlight that I do not consider it appropriate to go beyond the transport sub target. As you point out, we understand that demand at such levels appears likely to cause deforestation through new demand for agricultural land, and it could also increase food as well as fuel prices. “This is why the UK Government argued strongly for the introduction of recently adopted measures to limit food based biofuels at EU level. As a consequence, environmental and social NGOs would be expected to campaign strongly against it. This all leaves Amber Rudd in an increasingly untenable position. First, she has effectively admitted to having deceived Parliament. That’s something she will surely struggle to justify to the Energy and Climate Change Committee tomorrow. Second, she has revealed the disastrous outcome of her policy to destroy the UK’s renewable energy industry. The fact that the UK is seriously considering buying in actual power and non-existent ‘statistical credits’ for renewable energy from other European countries also speaks volumes for her policy failure. As for the idea of supporting renewable energy projects abroad instead of here in the UK, it’s not hard to imagine how that will go down with the UK’s renewable industry. The solar industry alone is set to lose 27,000 jobs as a result of cuts to solar power subsidies. And her idea to increase the volume of biofuels in petrol and diesel has rightly been shot out of the water by transport minister Andrew Jones. There is of course one eminently sensible and achievable solution – to restore sustainable levels of support for wind and solar energy and roll it out in bulk for 2020 at ever diminishing cost. Rudd, clearly, has lost all credibity at this stage, both politically and with the renewable energy industry that ultimately has to deliver the UK’s targets. The obvious choice for Cameron is to bring back Greg Barker, who as an MP was a respected energy minister from 2010 to 2014, and remains honorary president of the British Photovoltaic Association. 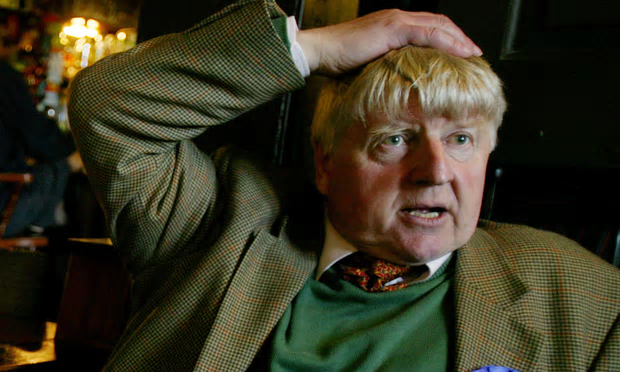 He now sits in the House of Lords. ​Greenpeace Head of Energy, Daisy Sands commented: “This letter shows us the dark side of the government’s incoherent energy policy in full technicolour. For the first time, we learn that the government is expecting to miss the EU’s legally binding renewables target. This is hugely shocking. “More deplorably, it is wilfully hiding this from public scrutiny. The government is planning on cutting support for the solar and wind subsidies in the name of affordability. But perversely, we see that the government believes investing in renewable energy projects involving buying power from abroad is more desirable than supporting home grown renewable energy industries. “Even more worryingly, it seems the government is seeking to haggle with the EU to revise down our legal commitments. This policy makes no environmental or economic sense as the UK is losing jobs and affordable clean, renewable energy sources. Green MEP Molly Scott Cato told the Guardian that Rudd had “serious questions to answer about why she has reported something to parliament which appears inconsistent with what she has been telling other ministers. “The UK’s energy policy is bound by European law which Rudd appears to be flouting. I have already raised with the European Commission my concerns about the fact that the government’s changes to energy policy make it unlikely we will meet our renewables target. My thanks to The Ecologist for outing this important information. alphabetrevolution Big Oil, Energy Companies, Fracking, NO HINKLEY C, Solar Comments Off on Amber Rudd is the Fossil Fuel Energy Secritary! Fuel for the future today – Carbon neutral and made from air and water. Fuel for the future, today– Carbon neutral from air and water. 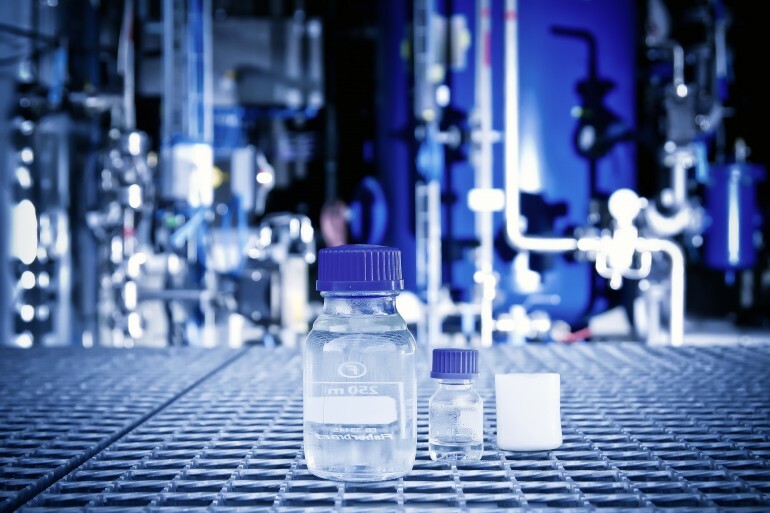 After a commissioning phase of just four months, [Audi’s] research facility in Dresden started producing its first batches of high‑quality diesel fuel a few days ago. 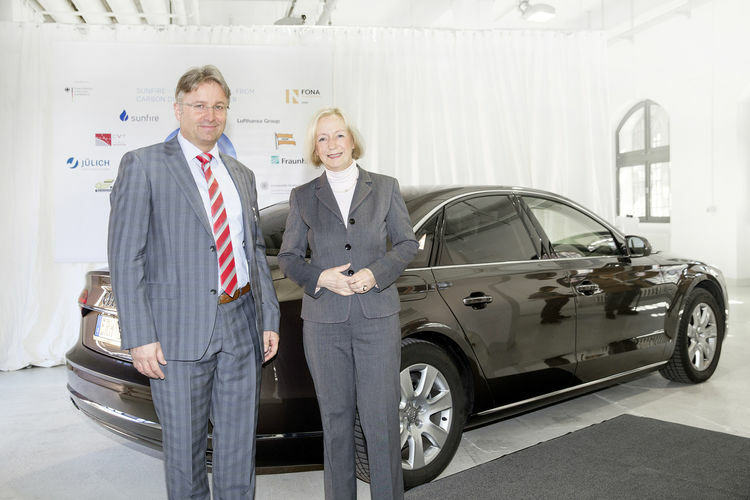 To demonstrate its suitability for everyday use, Federal Minister of Education and Research Prof. Dr. Johanna Wanka put the first five liters into her official car, an Audi A8 3.0 TDI clean diesel quattro*, this Tuesday. “This synthetic diesel, made using CO2, is a huge success for our sustainability research. 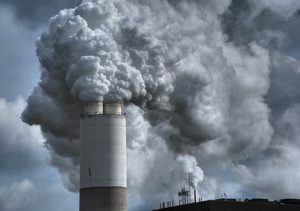 If we can make widespread use of CO2 as a raw material, we will make a crucial contribution to climate protection and the efficient use of resources, and put the fundamentals of the “green economy” in place,” declared Wanka. – Excerpt ends. Fuel for the future is made from the sun and will drive your car clean. This concept moves us in a better direction than fracking. By using renewable energy sources to make carbon-neutral fuel, we are not destroying the environment. Fracking destroys the environment in many ways. By capturing CO2 in our atmosphere and turning it into fuel we will be much closer to saving our planet. This is very similar to using biomass to heat your home. The carbon being released by burning wood was captured from our atmosphere as the bio-life grew. Fuels for the future will change the planet. We can make fuel out of the carbon in our atmosphere. Capturing then using carbon to make clean diesel fuel removes oil and gas from the equation. Renewable energy from the sun the wind is produced in surplus. This energy needs to be stored to make all renewable energy viable. Making diesel fuel that is clean and clear of dirty oil by-products will clean up our environment. It will store energy for later use. We no have the ability to make clean fuels with out using any oil or gas. This means we can finally stop burning fossil fuels. alphabetrevolution Big Oil, Solar, Special Days, Wind Energy Comments Off on Fuel for the future today – Carbon neutral and made from air and water. It is encouraging to see the will of the people taking precedence over the greed of corporations. Our work is not over yet though. 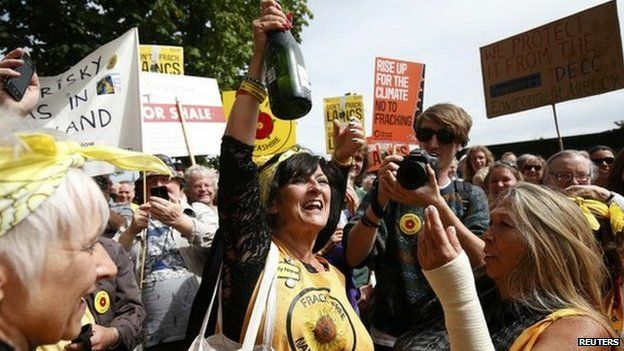 We need to keep a clear focus on the real prize – a total ban on fracking in the UK forever. Furqan Naeem, from Friends of the Earth North West, said campaigners will “breathe a sigh of relief – safe in the knowledge that this dirty industry… has been stopped in its tracks once again”. 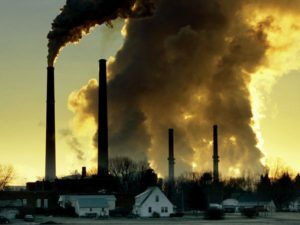 The UK government and DECC have decided that the best way to prop up the Big 6 energy companies is to give them billions to build more polluting fossil fuel plants. A capacity market auction last week led to the procurement of 49.26 GW of new capacity, mainly from fossil and nuclear fuels, at a clearing price which will cost U.K. households nearly £1 billion. The government said the capacity market is necessary to ensure the lights stay on, specifically as power from renewables increases, but the policy has sparked controversy. National Grid, the company that owns and manages the United Kingdom’s electricity grids, has been commissioned by the Department of Energy and Climate Change (DECC) to run the country’s first capacity market auction. 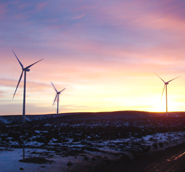 The auction ran for four days last week, leading to the procurement of 49.26 GW of fossil fuels-based capacity at a clearing price of £19.40 per kilowatt a year a day ahead of schedule. 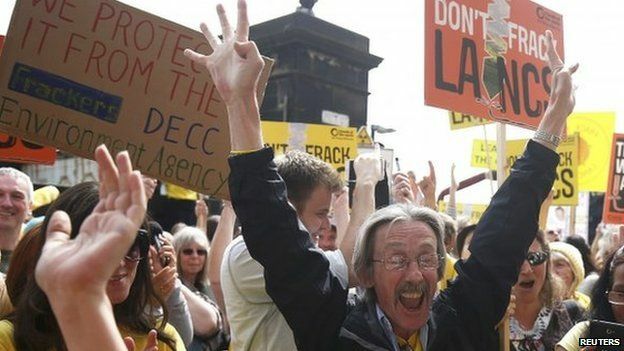 The auction’s gross cost is £990 million and will need to be paid after 2018, according to the DECC. According to the Department of Energy, the purpose of last week’s auction was to estimate how much capacity will be needed in 2018/19, which is the first year the Capacity Market will be running. “Electricity providers have then bid into this capacity auction, promising if they win a contract that they will be available to provide electricity when needed. In return, they will receive a steady payment on top of the electricity that they sell”, the DECC said. Not everyone is equally optimistic though. Last week’s auction price is near the lower end of the range of prices DECC’s financial modelling had predicted could prevail under a rolling auction scheme that aims to ensure the U.K.’s lights stay on after 2018 to 2030 and beyond. However, the billions of subsidies expected to flow to power groups in the coming years could also rise.Furthermore, the list of new investments triggered by the capacity market mechanism disappoints. The main bulk of winners in the auction are existing gas (22.3 GW), coal/biomass (9.2 GW) and nuclear (7.9 GW) power plants, while new installations will only form 2.6 GW or 5% of the capacity auctioned, including a new 1.8 GW gas plant in Trafford Park, Greater Manchester, by independent supplier Carlton Power under a 15-year contract.The DECC notes that auction results are provisional until confirmed by an independent auction monitor. Publication of confirmed results are expected on January 2, and approved bidders will need to have refurbished or built the auctioned capacity in three years. Should successful bidders not make their capacity available when needed, they will be penalized. 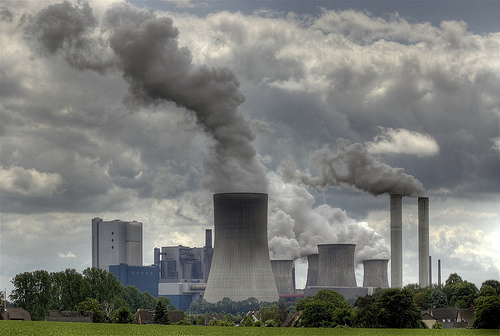 Capacity market: An excuse for fossil fuels? Internationally, capacity markets have sprung out of the need to compensate utilities for the loss of their power market share due to the dynamic increase of renewable energies. Traditional power market incumbents have argued their income has been severely cut, leaving them unable to build new power plants or keep operational ones alive. Responding to this, some governments have introduced capacity markets aiming to encourage new, mainly fossil-based plants that guarantee reliability of the power system when renewable plants do not generate adequate capacity. The U.K. is the first European country to run such a market. DECC’s main argument in favor of a capacity market is that the country is facing a looming energy supply gap as old nuclear power plants and many of its polluting coal-fired stations are due to close by the end of the decade and a capacity market will make it affordable to replace them. Otherwise, DECC argues, the country risks black-outs by as soon as 2018. Renewables Energy Association (REA) Chief Executive Nina Skorupska told the audience at October’s Solar Energy UK event in England that the U.K. government is planning to auction 50 GW of fossil fuel capacity via the capacity payments mechanism, while it could have plugged the capacity gap with all kinds of renewable energy and energy storage technology that replaces fossil fuels. Instead, the British government has chosen to devise a policy that clearly intervenes in the market. Paradoxically, this is the country that first among Europeans liberalized its domestic energy market 30 years ago and — many would say rightly — pushed Europe towards an open energy market.